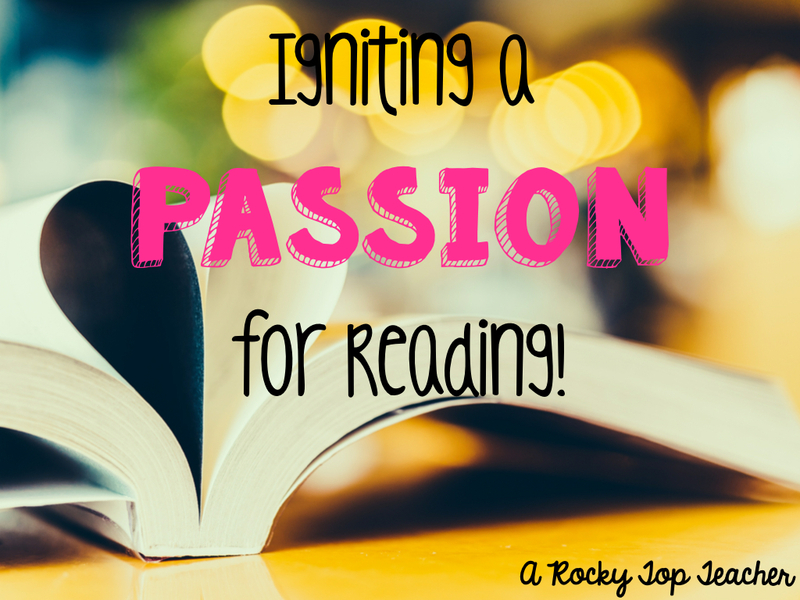 One of my biggest goals this year in 5th grade, as an ELA and Social Studies teacher, is to help ignite a passion for reading in my kiddos. I want to give them the world and open the doors to the future with them one book at a time. I have always loved reading and even now, I walk around my house with a book in my face all day, every day. I can't stop.Won't stop. Do my fellow #bookies feel me? I love it. I live for books. I dream about stories. I want my kiddos to love reading, but I know that you can't FORCE a kiddo to love reading. You could have a library stuffed full of books, but if they aren't the right books- I mean the kind of books that your students really want to read- then the library is dead. I don't want a dead library. I wan't a library full of life. My dream is to create and grow a library that is centered around books that my students are interested in will help light a reading fire in their souls. In just 8 days, I have already seen the sparks start. I know that my mission to adding to our library is an on going project, and I want to give my students the world. There is no limit on how many books we can get, and I want to help all of my students find their reading "niche". 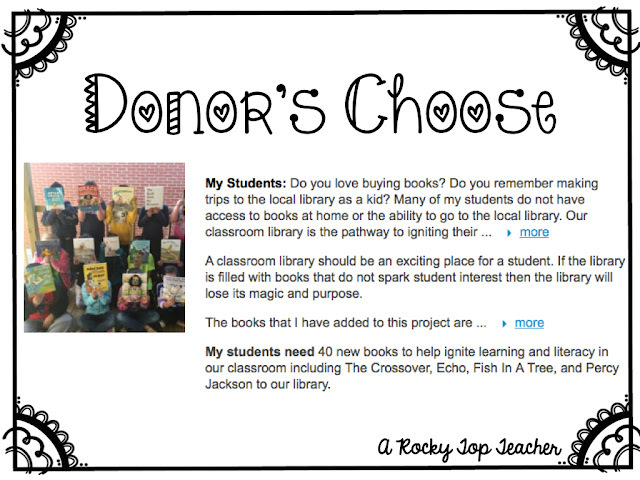 I recently turned to Donor's Choose to help my students in their book journey. I feel like this project is unique because the books that are listed for the project where all hand picked. Students wrote what books they hoped to see added to the library so they are just as excited..probably more exited.. that I am about the getting our project funded. Just click on the image to check ours out! Donor's Choose is a charity that helps public teachers and students who have classroom needs. Teachers can create projects that range from school supplies to books to technology. Their helpful organization has made classroom dreams come true all of the United States. Are your students needing a special item for the classroom? Have you participated in Donor's Choose? I highly encourage you to check it out!